The tour departs from Long Street in Cape Town. From here, your guided tour in one of our vehicles or one of our Adventure trucks will start. 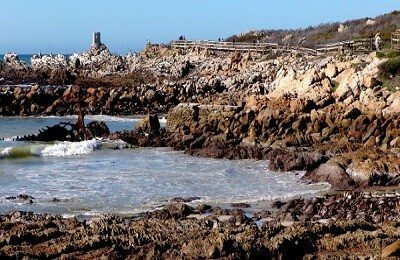 This full day package includes lunch at one of the coastal restaurants as well as traveling to the Holiday Hot Spot town of Hermanus and the activities. 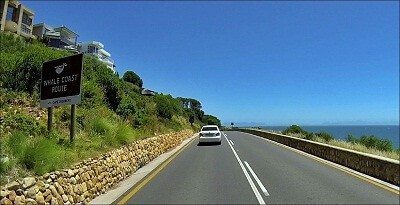 We travel along the famous Clarens Drive, which was voted one of the top ten coastal roads in the world. 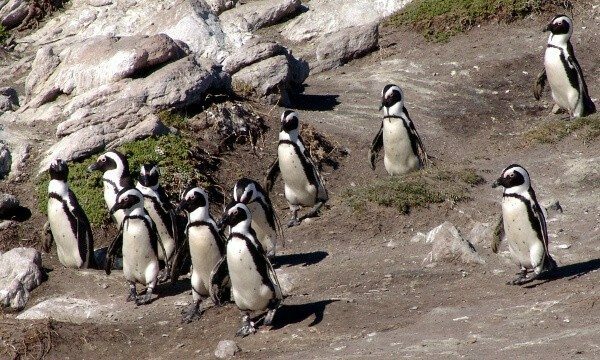 Then on to the Beautiful town of Betty’s Bay where you will visit one of the largest penguin colonies and get real close-up and personal with these adorable animals. 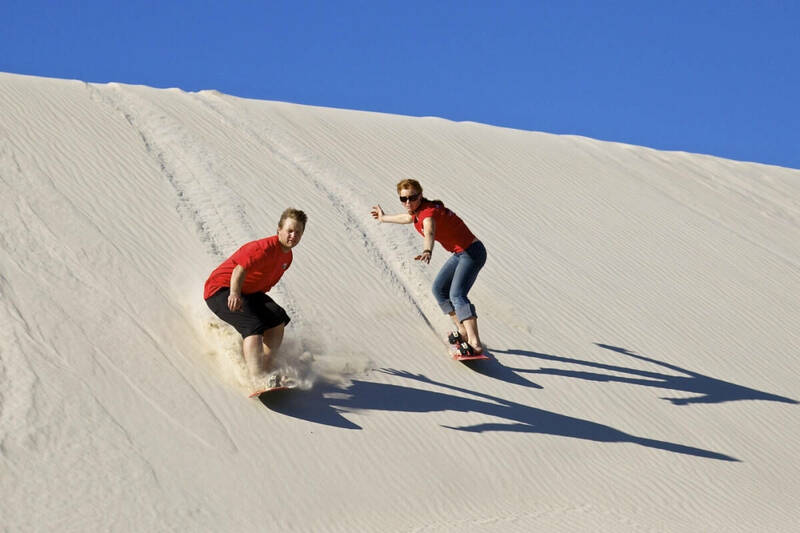 We also visit THE DUNE – one of Africa’s highest commercial sand boarding dunes – here your guide will brief you and provide the training needed to ensure you have fun. 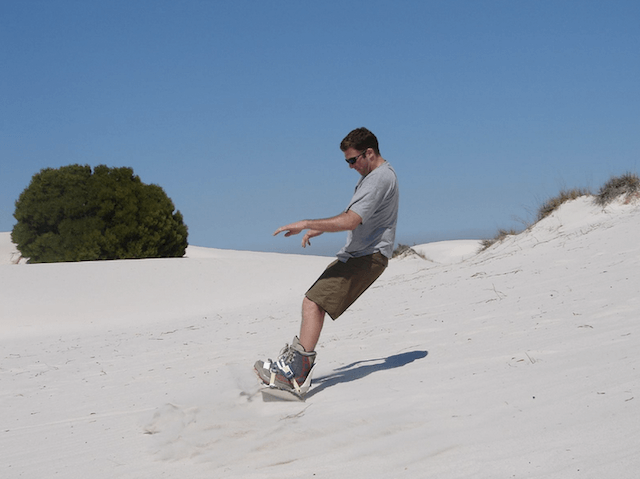 If for some reason you are gravity stricken and can not stand on the board then you can sit on the board and enjoy this massive dune and all it has to offer. 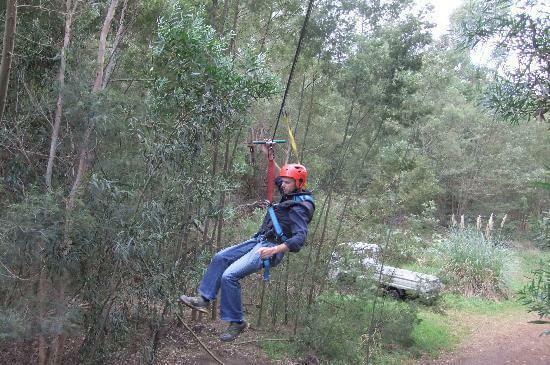 Form here we head off to the town of Hermanus, where you will enjoy a zip line tour at one of our adventure sites. 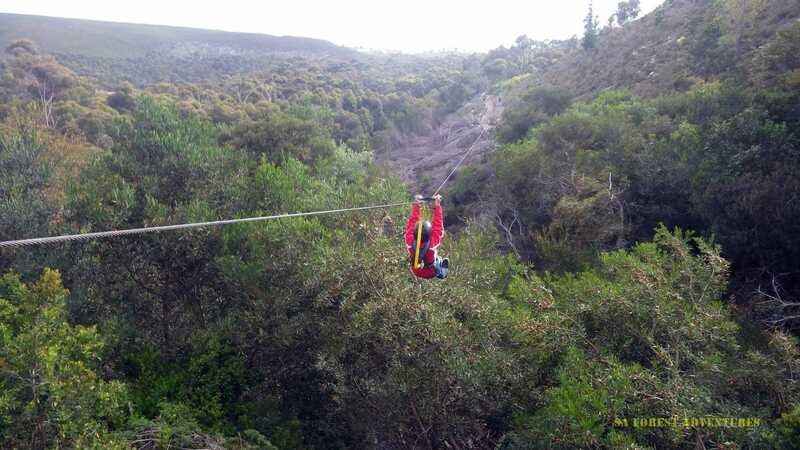 The Hermanus Zip line Tree Top tour extends from the mountain and zips over a small waterfall between the Poplar Trees and Canyon. High above the ground (8 to 50 Meters) the 2 guides will allow you to glide from platform to platform with only the local eagles and bird life echoing in the forest. The 11 platform slide ranges from 20 meters to 200 meters and with a safe breaking system you control the speed you travel at. So it could be a fast adrenaline experience or it could just be a slow easy glide high above the ground. 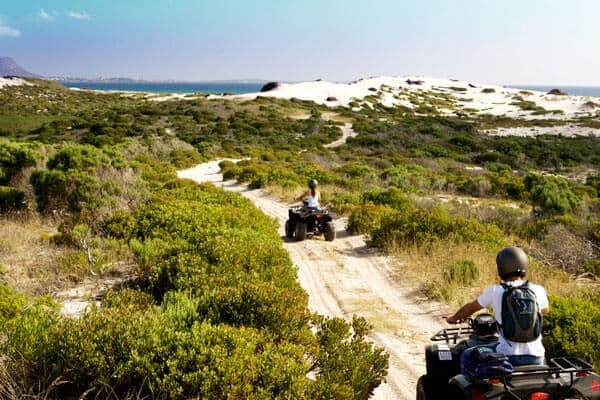 Here you will also receive a guided quad (ATV) experience – This route takes you through the world-renowned vineyards of Hamilton Russell and Southern Right wineries. 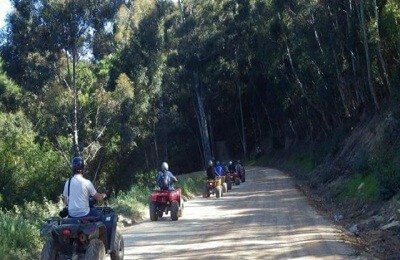 Travel up the mountain and through the fynbos kingdom into the Fernkloof Nature Reserve. 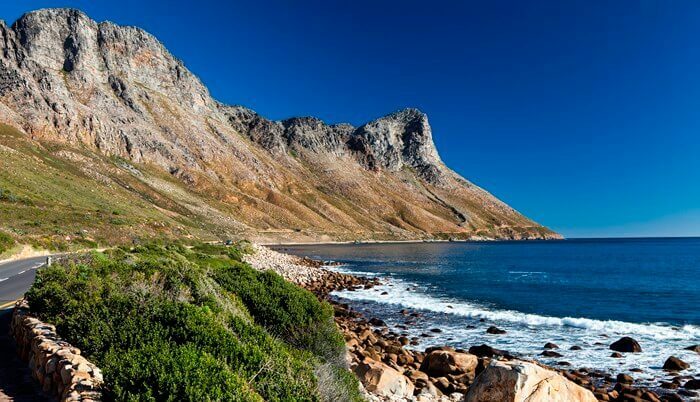 Your half way point on Rotary Drive, is one of the most pristine look-out points in the Western Cape. 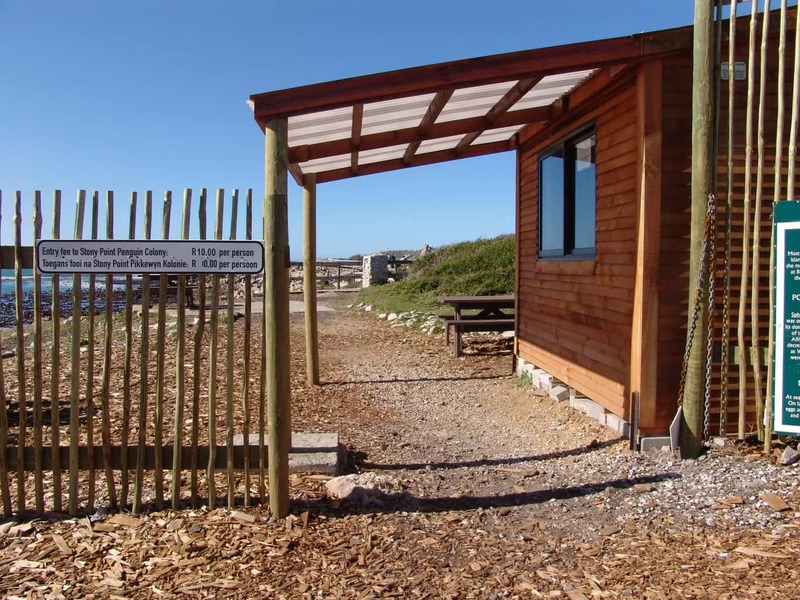 From here you will have a spectacular birds-eye-view of Hermanus and Walkerbay. Cameras on this trip are an absolute must! This vantage point allows you to see the bigger picture of activity over the entire bay. 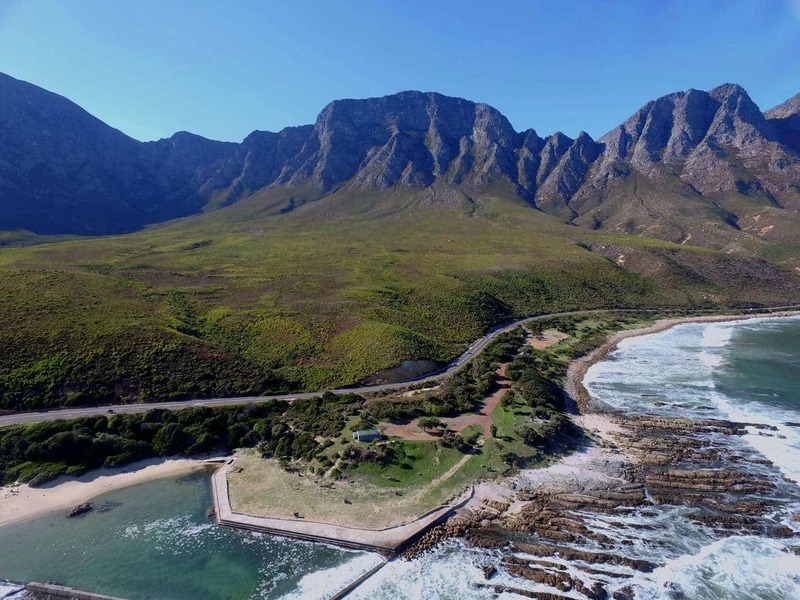 After all of this excitement we drive along the coast road in Hermanus to our restaurant for a scrumptious lunch and some free time in the town if time allows. 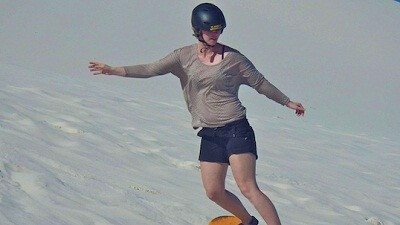 We now return to Cape Town and rest assured you will have had a day to remember and memories for a life time. If weather does affect any product we will provide an addition adventure item instead. 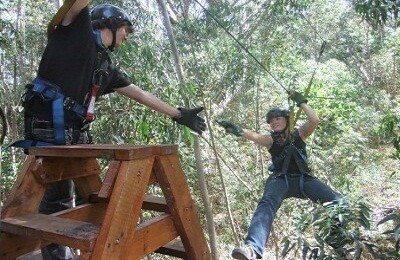 8 A Tree Top Zipline Tour in Hermanus.